I always like to know what essential oils other people like to use. 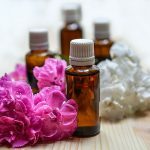 In this article the Retro Housewife shares the essential oils that are the top 3 on her list. The second is terrific for headaches, stress and insomnia. The third essential oil is very effective for rodent control. She also shares a bonus choice. It’s an oil that is useful in fighting colds and the flu. To see Retro Housewife’s essential oil choices, click the 3 Must-Have Essential Oils link below.